Home » Budget Traveling » Family Friendly Hostels- Should we even bother? Is it Possible to Stay at Family Friendly Hostels? It’s a word that can conjure images of a run-down bunk house with disgusting showers, filled with common thieves all ready to pounce on your stuff the moment your back is turned. If that’s what you see when you hear “hostels”, try picturing this instead: An eclectic space filled with travelers from around the world, that offers comfortable accommodations for much less than a hotel. Warming up to hostels yet? 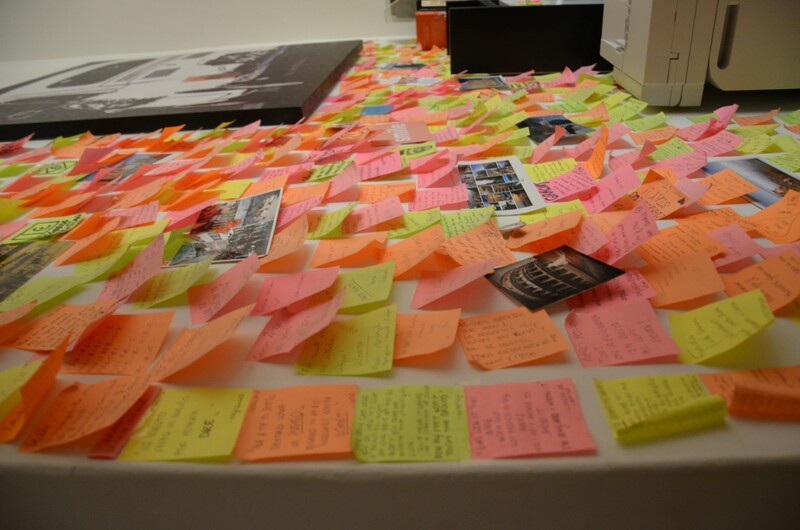 Booking your first hostel can be a scary experience since you have no idea what to expect. But when traveling through Europe, hostels are a great way to find comfortable accommodations without paying a fortune. 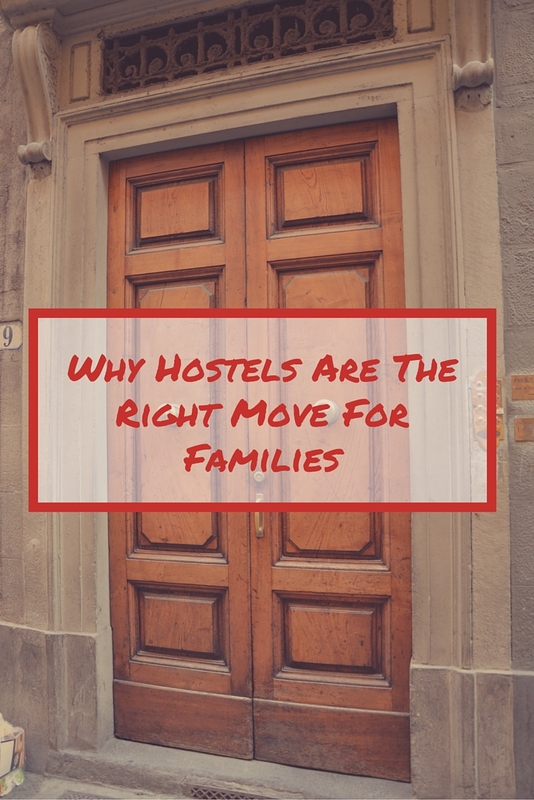 Here are some reasons why hostels are a great option for anyone, including families, and some tips to keep in mind for your first booking. Traveling can be expensive, especially when you’re traveling as a family. Even if you Travel Hack your way overseas and manage to get to your destination for only a couple hundred bucks, you’ve still got accommodations, food and sightseeing to think about. But don’t let accommodations eat through your travel budget when there’s so much good food to be had! Instead of spending $100 or much more per night for a hotel room, opt for a hostel instead. I’ve found rooms for as low as $19 a night (not kidding, that’s what my brother and I paid per person in Florence, Italy). You just can’t argue with the low prices. While those low prices do come with some caveats, like dorm rooms with up to 20 people in them, bunk beds, shared showers and no free breakfast, that’s not always the case. I’ve stayed at places that classify themselves as “hostels” but were basically boutique hotels that offered private accommodations for a third of the cost of a regular hotel room….that means big savings if you’re traveling as a family. For a family of three or more, traveling through Europe and staying in hostels is 100 percent doable. Private rooms with ensuite bathrooms are available at many places and dorm rooms often start at four people. A dorm room can turn into a private family friendly hostel room if you have enough people in your family! Make sure to book early to get the exact style of room you want. It’s also important to think about your accommodations this way: Are you going to spend all day at the hostel in your room? NO! You and your family are going to be out and about, exploring the city all day. Your hostel is just a safe place to stow your bags and rest your head at the end of a full day of adventures. So does it really matter if it’s not a five-star hotel? Probably not. Your main concern should be finding a place that’s safe for your family and that won’t break the bank. Staying in hostels will also provide your family a unique look into the customs and courtesies of the area. Hotel chains are going to be pretty similar no matter where you stay in the world. But hostels are all unique and provide a realistic idea of what living in that city is really like. In Rome I had to walk through a courtyard before climbing two flights of ancient stone steps to reach the flat where I was staying. In Venice I had to keep an eye out for the hotel sign on the door, as it was the only indication the hotel even existed. In Zurich I stayed in a chateau-styled building that was modern and sleek on the inside. In Paris I stayed a block away from La Basilique de Sacre Coeur de Montmartre, and I could hear the bells ringing in the mornings. All of them gave me a sense of what living in that city was really like. Keep your eyes peeled or you might miss your hostel! Imagine the impression that’ll make on your kids..staying in a 100-year-old building or using four keys just to get into the flat. Those are experiences they’ll never forget! Talk about good security! 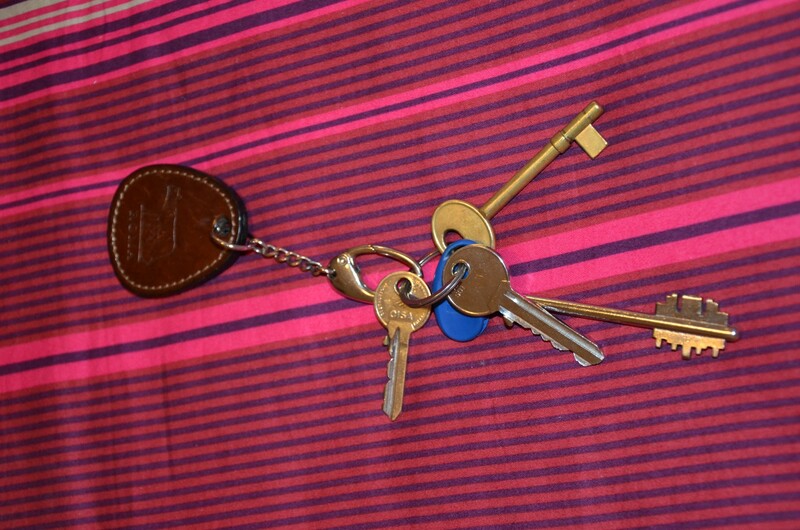 FOUR keys just to get into the hostel! Plus every place I’ve stayed had a local working the front desk who offered great advice on where to eat. While searching online can yield great results, there’s nothing like asking a local about where to find the best cultural fare. Hostels can be scary, especially if you’ve stayed in one state-side. But they’re very different in Europe. You’re going to find some run-down ones with nasty showers and uncomfortable beds. I won’t lie. But you’ll also find some awesome ones that offer spacious rooms and free breakfast as part of the cost. And on occasion you’ll come across hostels that are specifically designed for families! Staying in a dorm room with strangers can be very uncomfortable the first time you do it. But in my experience, most of the other people are there to do the same thing you are: Sleep. I’ve only had one instance where I was the only woman in a dorm room full of men. It was a little terrifying, but nothing happened. But the good news for you is if you’re going as a family, you can rest easy knowing you’re not there on your own. The people working at the hostels know you’re visitors and many will offer maps of the area. Some will also offer to hold your stuff after you check out so you can spend the day in the city unhindered by your bags before you catch your late train or flight. They get it. You’re there to see the sights and they’re there to provide affordable accommodations. Sites likes HostelWorld, Booking.com and Hostels.com are all great places to find your next hostel. You can search based on country and city, and then narrow your search even further to a specific rating, location in the city and more. I’ve booked over 20 places through HostelWorld and I’ve never had an issue with fraud or overbooking. Many hostels will email you directly after you book to give you tips for checking in and to ask about your time of arrival so they can be prepared to greet you. With most of these sites you’ll put a down payment down online (somewhere around 20 percent) and then pay the rest of the cost once you actually show up. That’s the nice thing about hostels, you don’t have to pay everything up front. Keep the emails with amount owed handy so you know how much to budget for before the trip. Read through some of the reviews. They’ll help you get a sense of the place before you book. They’ll also alert you to any potential issues with that hostel. But take them with a grain of salt since everyone has different standards. Safety is important, so only look for places that have at least an 80 percent rating. It may cost more, but your stuff will probably be safer during the day and the accommodations will most likely be nicer and in a safer location. Convert the price to dollars so you don’t think you’re spending less than you actually are. Not all places will provide sheets, pillows or towels. Verify they’re provided before you book. 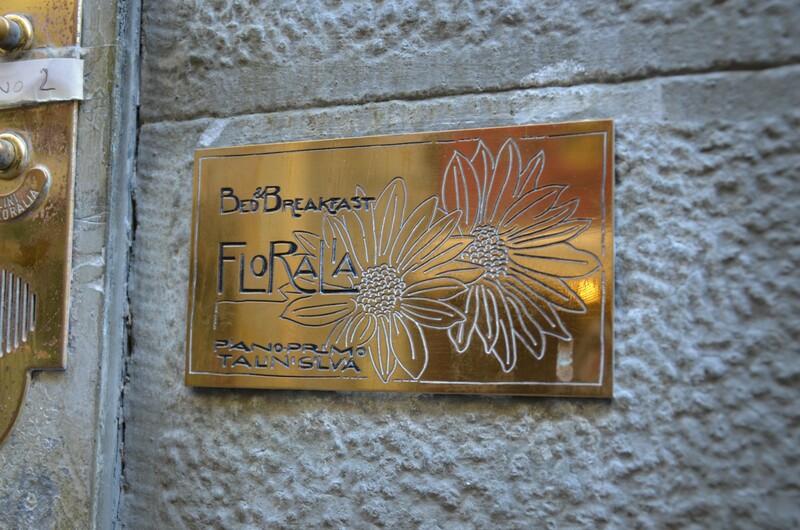 Many places offer free breakfast. This is a great way to further reduce your expenses so look for places that do this! Think about what you’re going to sightsee. While hostels next to big attractions or in city centers can be expensive, they’re not your only option. Look for places that are further away from the attractions but near a metro or tram station. That will make getting to the big sights easy and allow you to spend less moolah on accommodations. Have valuables you don’t want to carry around all day? Look for places that offer lockers and bring your own lock. I did that with my laptop and it worked out fine. But be careful, it’s not foolproof. WiFi is a must if you don’t want an expensive cell phone bill. Make sure the hostel you’re considering offers WiFi so you can upload photos and change your Facebook status at the end of the day. Keep your valuables with you at all times, especially your passports. Those should never leave your person. Lockers can be safe to store your valuables in but they’re not foolproof, so try to avoid using them if you can. Consider bringing shower shoes or flip flops since not all hostels will have private bathrooms. Packable towels like these are a good idea to bring along and they dry very quickly. I’ve booked places where they said they had towels available…but didn’t tell me until I got there they were for a price. Earplugs. Are. A. Must. They’ll come in handy if you’re stuck in a room with loud snorers. Bring pajamas with tops and bottoms. It’ll make for less awkward interactions if you stay in a dorm room. Wear a watch with an alarm on it. You’re not always going to have a nightstand or shelf to set an alarm clock on. Wrist watches have nice little alarms that will certainly wake you up in the morning and you can sleep with it on! Be open! You’re going to interact with many different people from all over the world. Be willing to adapt to the local customs and courtesies and don’t expect every hostel to be the same. 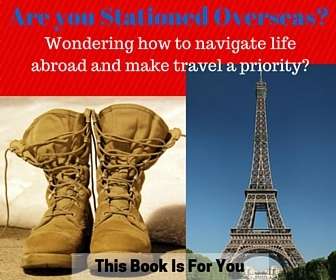 Getting stationed in Europe provides an incredible opportunity to visit the many countries throughout Europe. Even if you have a small budget, that’s no reason why you and your family can’t travel. Even though they’ve gotten a bad rap over the years, hostels are a great way to find affordable, safe and family-friendly accommodations throughout Europe. Bon voyage!! Alexis is the founder of Wife in the Wild Blue Yonder, a blog designed to provide advice and resources to military spouses. She dedicated to helping others by sharing personal stories and useful information that other military spouses can learn from and apply to their own lives. She’s a passionate writer and photographer, a Harry Potter fanatic, a lover of dogs, a swimmer and a rock climber. She’s always up for an adventure and she loves to travel. Visit her website: www.wifeinthewildblueyonder.com, LIKE her on Facebook, FOLLOW her on Twitter and Pin her other adventures! It sounds as if hostels have changed a lot over the years and offer far more variety now. Is there a review site like Tripadviser for hostels to help tell the good ones from the ones you might not enjoy so much? Hi Toni, there’s much more variety nowadays. But it does depend where you’re visiting. If you’re going to a small city, there might not be as many available as in a large city. I haven’t found a specific review site. However, when I’m searching for hostels on sites like HostelWorld, I always read through the guest comments for the hostels I’m looking at. It’s a great way to get an idea about what to expect and what other people loved (or hated!) about that particular property. Take it with a grain of salt, since people sometimes complain about the weirdest things. If the property owner also takes time to comment on the guest post an address the issues then you know you’ve got a good place, too. I love hostels, and although I haven’t taken my son to any yet that’s because we’ve found great deals on air bnb sites etc. I wouldn’t hesitate to take him to a hostel- like you said the savings are huge! I think that sites like AirB&B are offering a very competitive edge to things like hostels. Even just for the two of us, we can actually find a cheaper accommodation on AirB&B than a hostel. I just think it is great that there are OPTIONS that make travel actually affordable! Great point! If you can find a better deal on Air BnB then go for it! I’m all about savings so I take them where I can find them. But now you know hostels are an option for the next time you travel! I agree with Hostel dwelling… Whenever I am traveling I take that option. Nice to know that families are getting in on the action. It’s awesome that hostels are now marketing themselves as family destinations (and offering family value!) – I remember the original carnation of the hostel and they were not family friendly. I’ve been turned off hostels for a while but your post is encouraging me to give them another go! Although I’ve never stayed in a hostel, it’s great that they now have tapped into the family travelers. Travel is changing so much these days and I see more and more family travelers every place I visit. It’s always good to give families another option for different budgets. I haven’t stayed in a hostel for a while, but it is a fantastic alternative accommodation option. I stayed in one in Montreal that was very nice, with a cafe, pool table, lounge area, and private rooms if you paid a little extra. There are a string of new, funky hostels too, that I have been wanting to try in Europe. The savings in expensive cities like London or Zurich means more money you can spend on actually enjoying and exploring the city, not paying a ton just for a bed. I love your point, Drew. If you’re there to visit the city, why blow all of your money on a hotel room where you’ll only be showering and sleeping? And you’re right, the savings are incredible for expensive cities. Glad to see you’re already taking advantage of hostels! Happy travels! Great tip! You are so right, a bar is probably the perfect indicator for the kind of crowd that might be hanging out! Hey Claire, that’s an excellent point! That’s one way to ensure you’ll be staying at a quiet, family friendly place. Happy travels! Hey Anto, I like your point. I always try to pay a bit more for my hostel as well…but even then, it comes out to be way cheaper than a hotel! Anytime I search for a hostel I have a safety and overall rating that I’m not willing to go below which typically leads me into the “higher priced” places. But I’ve never regretting paying more! Thanks for sharing your thoughts. This is really helpful. I have always liked staying in hostels but I never imagined bringing my whole family with me. I would definitely take this into consideration. Hi Karla! I’m glad to hear you’re considering it for your family! It’s definitely a viable option that can be much, much cheaper than a hotel. Happy travels! Really great post – I think that the biggest thing people don’t realize is that Europen hostels are a lot different to American hostels, and set a completely different standard when it comes to quality and experience. I tell people this all the time when they’re worried about staying in hostels, and haven’t yet experienced Europe. Some of the best examples of hostels in the world here. I hadn’t thought about hostels as being great fit for families before, but it ttoally makes sense, especially when you can book out a whole room and it ends up being much cheaper than a hotel. Meg, I think you’re totally right! European hostels are completely different from those in the U.S. Sometimes it’s just hard for people to wrap their heads around it. Thanks for the compliment! I’m glad you liked the article! ← Gimmelwald: could this be heaven on Earth?